Increasing scientific evidence demonstrates that handling practices which increase livestock stress levels result in measurable reduction in milk production, increased retained milk and decreased conception. For producers participating in the F.A.R.M animal care program, current evaluations now require both documentation of annual stockmanship training as well as having each employee sign the farm’s “Animal Handling Policy” or “Ethics Agreement”. There is an extensive menu of training resources (including template forms, posters and videos) that are available free on-line. 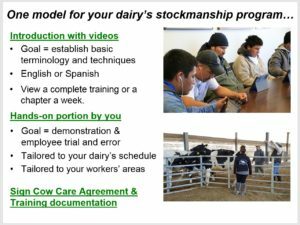 This webpage describes how producers can tailor information to develop a stockmanship training program to best fit their own facility and employees. 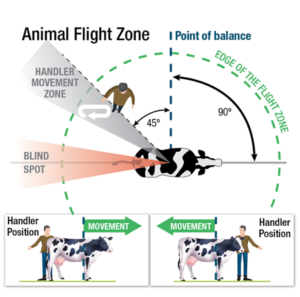 Low-stress cattle handling has been around for decades with pioneers like Bud Williams and Temple Grandin describing basic behaviors like flight zones and point-of-balance, particularly in range and feedlot cattle. “Rough handling”, meaning handling animals in such a way that raises their stress level, can result in measurable reduction in production, increased retained milk and decreased conception. How much of a production-effect occurs on a given farm depends, of course, on employee attitudes and practices. Some of the relevant research summarized below suggests that low-stress animal handling training for new employees and annual refresher training for all employees can be valuable. Several decades of animal behavior research has been reviewed and gives important clues into the potential negative effects of rough handling on production. Temple Grandin reports that milk yield can be reduced by as much as 10% when rough handling is used during cow movement. Excessive noise (shouting and slamming of metal gates) has been shown to increase heart rate and anxiety in cattle. One study of cow recognition demonstrated that cows not only remember rough-handling employees, but exhibit a 70% increase in residual milk when milked in their presence. An Australian study observed that forceful handing accounted for about 16% of the differences in annual milk yield between farms. Although the authors of the study caution against assuming causation, one study involving Minnesota herds showed that the herds participating in a stockmanship training program had a 1,785 pound higher rolling herd average than those that did not, after adjusting for herd size and bulk tank somatic cell count. There may also be non-production advantages to stockmanship training for employees. For example, differences between farms in the level of cow fearfulness accounted for 14% of the variance between farms in conception rates. Finally, animal contact is often ranked as the first or second leading cause of injuries on the farm. At least one study observed that forceful interactions appeared related to incidents where the handler was kicked, head-butted or run over. There is also one anecdotal report from California that dairies where personnel had received stockmanship training saw a 50% reduction in worker injuries. A Veterinarian-Client-Patient-Relationship (VCPR) form signed by the herd veterinarian. An “Ethics Agreement” signed annually by employees with animal care responsibilities. Annual employee training in both basic stockmanship and for their specific area. Each of these requirements is discussed in greater detail below. An additional requirement that tail-docking is not performed on the farm is a mute issue in California since the State abolished tail-docking in 2010. These requirements, (absence of tail docking, the VCPR, and welfare training & ethics agreement) have been designated as “Priority I Areas,” a new classification in the FARM program. Unlike the other FARM guidelines, failure to demonstrate compliance with these Priority I Areas during an evaluation triggers a “mandatory corrective action plan” and re-evaluation in one year. A second failure can result in removal from the FARM program. The FARM program requires that the dairy has a document signed by the producer and his “Veterinarian of Record” confirming that a VCRP exists between them. California’s definition of what constitutes a VCPR can be found in Section 2032.1 of its Veterinary Medical Board’s minimum practices standards regulation. The FARM program has provided a template for a VCPR, which is expected to be updated annually or more often as needed. The FARM program requires that an “Ethics Agreement” describing the dairy’s animal care policies be signed annually by employees with animal care responsibilities. The agreement must specifically state that the employee will not abuse animals and will report any abuse witnessed. A template agreement has been provided by the FARM program in both English and Spanish. 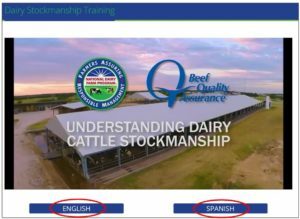 An alternative Animal Handling Policy developed by Western United Dairyman is also available in English and Spanish. Dairy producers are free to use these templates or develop one of their own. The FARM program requires that, all employees with animal care responsibilities have completed basic stockmanship training as well as having been trained in their area of animal care responsibilities on an annual basis. An example of this later requirement might be that a calf feeder is trained in the dairy’s calf feeding, handling and treatment procedures. All animal training must be documented and the FARM program provides templates to record training for individual employees or by the type of training. Develop your own training program tailored to your facility. Invite your veterinarian or extension advisor to provide the training. Contract the training to a commercial firm. Due to the on-going nature of employee training, the most effective option for providing employee Stockmanship training may be to develop your own program. Such “homegrown” training can have advantages: it avoids contracting expenses, it can be scheduled according to employee availably and, perhaps most importantly, the training can focus on your farm’s specific practices and policies. 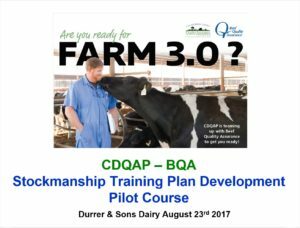 In August of 2017 CDQAP partnered with the California Beef Council to offer a pilot Train-the-Trainers” course in dairy stockmanship. The pilot course’s materials have been collected and are available for downloading from a UC file-sharing portal. Available files include the program’s introductory slides which review the new requirements for FARM, how adults learn and how a combination of free, on-line videos and on-farm drills can be used to tailor a training program to a particular dairy. Also available are all the class handouts including a listing of on-line video and poster resources as well as templates for VCPR and employee ethics agreements in English and Spanish. Each producer will determine the focus and extent of their annual stockmanship training. Some producers may be satisfied to simply have their employees watch one or more videos over a lunch break. Other producer may choose to the hands-on demonstration approach. Still other producers, particularly for their new employees, may choose a combination of on-line learning and in-person drills. The most effective learning typically involves combining elements of both video training and hands-on drills. 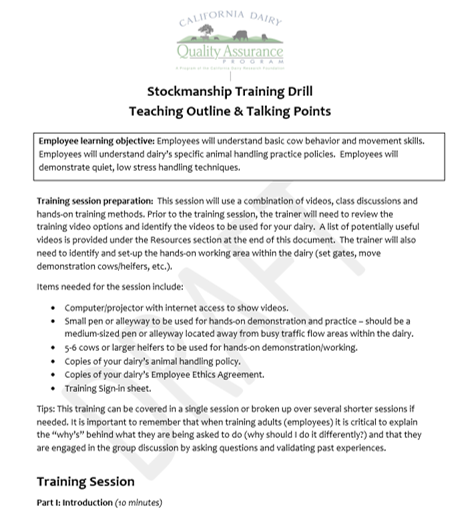 The outline below provides an overview of the basic information pieces that can be useful to include in a stockmanship training program. The information can be covered in a single session or broken up over several days. Explain the reason for the training. Example: that cattle moved quietly with minimal stress actually give more milk, have more calves and fewer mishaps and cause fewer injuries to both themselves and caretakers. Explain the cattle handling policy of the dairy. Example: that handling cattle in a low stress manner is the policy the farm and that cattle will be moved with a minimum of noise (no yelling or slamming gates) and using a minimum of physical contact and encouragement. Explain the discipline policy for employees that do not follow the policy. Example: that beating an animal (particularly with a stick or other object) twisting its tail or otherwise abusing it is grounds for discipline or dismissal. If an employee is having trouble moving an animal, they should get help from a supervisor. Engage participating employees as much as possible, asking them to contribute their ideas, experiences and questions. 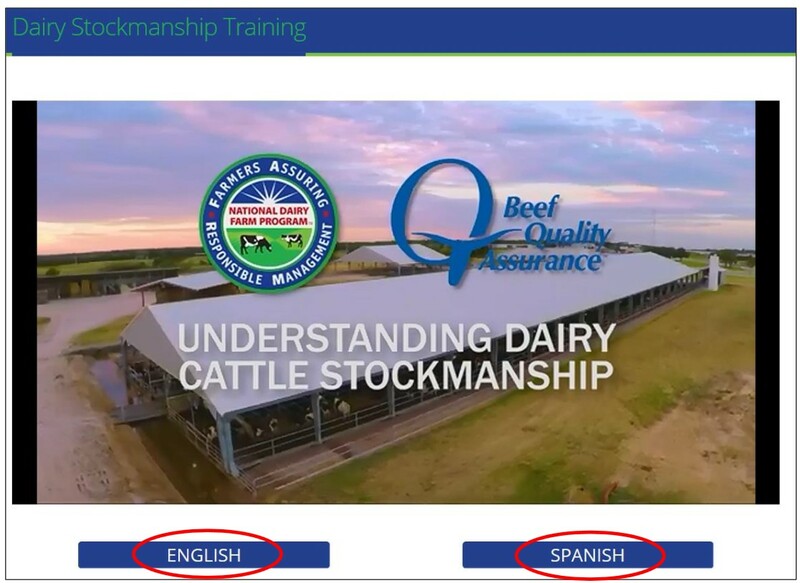 Employees watch one or more stockmanship videos in their native language. The trainer might choose to have employees view the entire FARM video collection, (about thirty minutes total) or the UM video collection (about twelve minutes total) in one sitting. Alternatively, a trainer might choose to have employees break up viewing into two or more days, perhaps even watching a single 3 to 6-minute video every day for several days. Finally, some trainers might choose to have employees view only one or two select videos. Good videos to start with are FARM’s Handling Cattle in Alley’s, Holding Areas and Milking Parlors (6 minutes) or UM’s Moving Cows More Effectively video (2½ minutes). 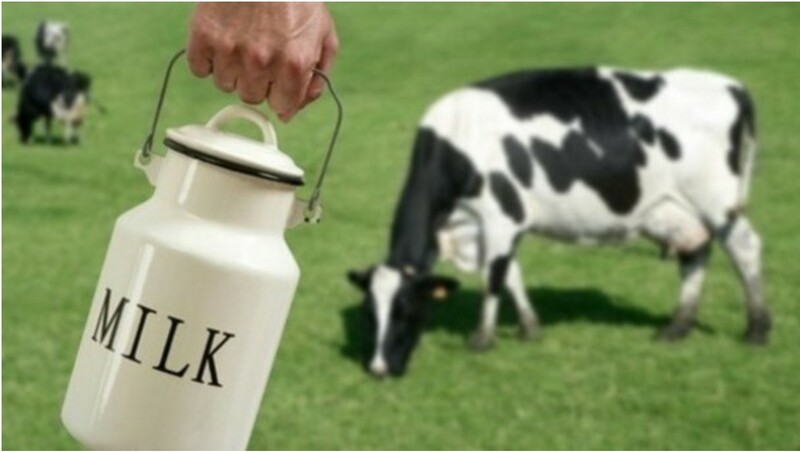 Cows will give more milk and cause fewer problems if handled quietly and gently. Cows have very sensitive hearing. Yelling, whistling and slamming gates increase cow stress, reduce production and make cows unpredictable and more dangerous. Cows walk more slowly than humans and become stressed when asked to hurry. Cows rarely need more than a gentle word or pat to move forward. Cows prefer to be moved in groups and prefer to follow a lead cow. Cows tend to move forward in the direction their nose is pointing, so getting her head pointed towards the path you want her to take is time well spent. When approaching a cow, it’s best to approach from her side, where she can see you, and talk to her gently to let her know you are there. If you see a cow’s eye and ear pointed towards you, you know you have her attention and she’s ready to start working with you. If you move into a cow’s blind spot (behind her) she will tend to stop moving forward and turn her head to see you, slowing the process. Cows have good memories and will remember people that treated them roughly. Cows’ memories are also why when introducing heifers to new places (milking parlor, chutes for vaccination, loading trailers) it’s important to particularly gentle and patient. **This session can take place in an area of the dairy that is not currently being used, such as a pen or alleyway. Using roughly four to six cows or older heifers, hands on demonstrations of correct animal movement techniques are provided. For new employees, the trainer may demonstrate animal movement techniques and ask the employee to repeat them. For refresher training for experienced employees, one employee may demonstrate for others, explaining what he or she is doing. In a wide alleyway: move the animals as a group using a zig-zag pattern behind them. In a narrow lane: move a line of cows by moving parallel in the opposite direction. Along a fence: move a single animal forward, starting and stopping using only body position. In a pen: move a cow out of a corner using only body position. It is important the trainer to provide the “whys” behind the preferred method of handling; why is the method better for the animal and employee. Document the training and have each employee sign the dairy’s ethics agreement. Store the training records and ethics agreements in a place they can easily be retrieved during a FARM Evaluation. A printable CDQAP Stockmanship Training Drill Teaching Outline & Talking Points document has been drafted by CDQAP as is available for producers to use for the development and delivery of their trainings. Links for additional animal handling videos, posters and templates are available in the resources section at the end of the page. Some universities and colleges have offered training in cattle stockmanship. These programs may not be offered on a regular schedule; it may still be worthwhile for an interested producer to contact their extension advisor about availability. Periodically the National Beef Quality Assurance Program will offer Stockmanship and Stewardship training. 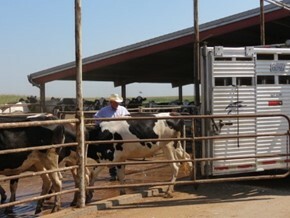 While these programs do address basic handling techniques, they tend to focus on practices for feedlot and range cattle such as gathering, penning, chute work and loading rather than dairy areas such as free-stall barns and the milking parlor. A third potential source of training could be your herd veterinarian. Several companies have developed stockmanship workshops which have been offered throughout the United States including California. While frequently these trainings are delivered in association with Beef Quality Assurance producer meetings, these companies have also tailored training to individual beef and dairy operations. A partial list of these stockmanship training companies includes: Curt Pate Stockmanship with Curt Pate, Dairy Stockmanship with Dr. Don Hoglund and Effective Stockmanship with Dr. Ron Gill. An extensive selection of free animal handling videos is available. The list below includes only videos that are available in both English and Spanish, allowing employees to select presentations in their preferred language. FARM Stockmanship Videos: Working in partnership with several universities the FARM program has produced a series of eight stockmanship videos, ranging in length from one to six minutes long. Each video “chapter” covers different topics of stockmanship such as “How Do Cows Perceive Their World” and “Handling Cattle in Alley, Holding Areas and Milk Parlors”. All eight short videos have also been collected into a single 27-minute video entitled “Dairy Stockmanship”. 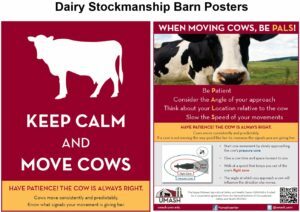 University of Minnesota – Stockmanship Series:The University of Minnesota has produced a series of five concise stockmanship videos, each about two to three minutes long. Like the FARM stockmanship series, each of the videos a different topic such as how cows use their senses, moving cows effectively and decreasing stress in the milking parlor. Total viewing time for all five videos is just over twelve minutes. New Mexico State Dairy – Safety Series: New Mexico State has produced a series of seven excellent videos addressing various aspects of dairy worker safety ranging from one to eighteen minutes long. The videos cover a variety of topics including PTO and silage pile safety. For the purposes of stockmanship training the 9-minute video entitled “Outside Animal Care” is focused on safely moving cattle. California State Compensation Insurance Fund: The California State Compensation Insurance Fund has produced two dairy safety videos each about 10 minutes long. The first video addressed safe animal handling and parlor safety. The second video focuses on safety concerns related to trips & falls, silage storage, lagoons, tractors and confined spaces. In addition to dairy stewardship videos there are additional sites offering manuals, posters and fact sheets in both English and Spanish. The FARM Resource Library contains template documents for the VCPR, employee agreement, training form. Each of these templates is available in both English and Spanish. 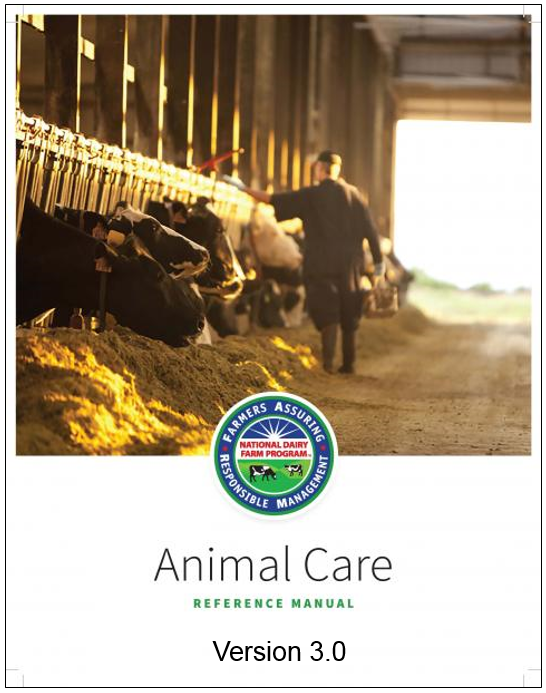 The complete FARM manual can also be downloaded from the site. 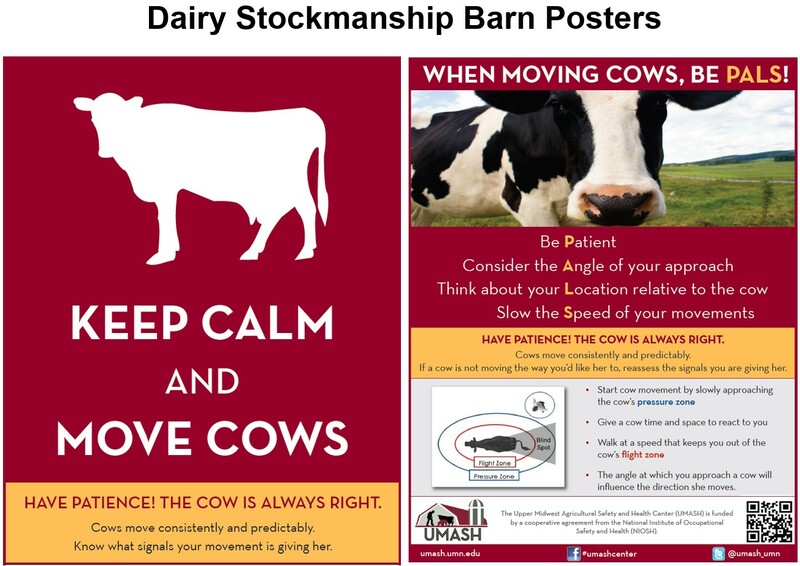 The Upper Midwest Agricultural Safety and Health Center (UMASH) has a number of dairy stockmanship posters & fact sheets available in both English and Spanish.